SKF NOTE: From my interview with Alan Dawson published in Modern Drummer‘s 10th Anniversary Issue in 1986. Here Alan is talking about drum innovators. Alan Dawson: Innovators are very few. Innovators trod a lonely path. I don’t know who’s the next person who’s going to come along and revolutionize the music itself or drumming. There’ll be somebody. When the people latch onto him after, of course, initially putting it down — which is how the history of things goes — the people who will latch onto it will do whatever it is very well. Scott K Fish: Who do you feel are the last drum innovators we’ve seen? AD: As I go along I start to find more people who are derivatives. I would say, certainly, that Jack DeJohnette is innovative in his approach. But I’d say he’s probably derivative from Tony Williams and Elvin Jones. By the same token, Tony is derivative from Elvin and Max [Roach]. But the people who are setting trends, just in listening to them and listening to comments of people who listen to them, I’d say probably Jack DeJohnette and Tony Williams may be two of the most influential drummers of the 80’s. SKF: Do you think there’s a difference in being an innovator and being innovative? AD: Maybe I’m splitting hairs a little bit. When I think about an innovator I think of the person who really seems to have taken something, and seems almost completely in another direction when he bursts on the scene. And people don’t understand what he’s doing. They have to catch up. A person can be somewhat innovative if he can take somebody’s style and make something else out of it. SKF: So an innovator is someone whos style can’t really be traced back to anybody? AD: Yeah. It actually is. Eventually you probably can. 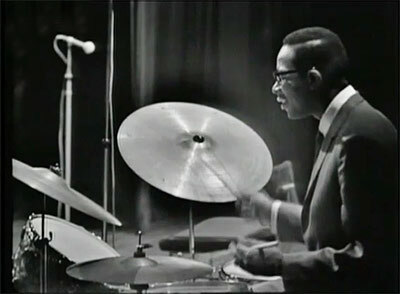 When I first heard Max Roach I certainly wouldn’t have been able to say, “Well, yeah, he sounds like Jo Jones.” He didn’t. But, he still was influenced by Jo Jones. So, I would consider Max an innovator, yet in retrospect, I know that his style didn’t come out of nowhere. When somebody’s reactions to the very same things everybody else has been exposed to turns out to be so completely different — you can think that person couldn’t have been exposed to so-and-so at the outset. Later you find differently. 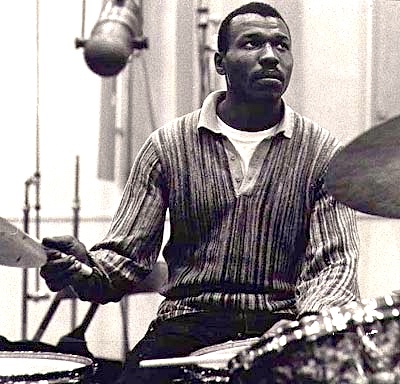 SKF: Would you consider Elvin Jones an innovator? AD: Yeah. Yet, I realize — and Elvin will tell you — that he came out of Roy Haynes among other people. Elvin doesn’t sound like Roy Haynes, but it’s obvious to me where he came from. Just like Roy Haynes doesn’t sound like Jo Jones, but it’s obvious to me where he came from. Jo was one of Roy’s strongest influences in that formative stage. In my formative stage Jo Jones had a tremendous influence on me. Max Roach had a very strong influence on me. But not as strong as Jo, because I wasn’t quite as young and impressionable. Since then there’ve been plenty of other players who I’ve listened to and admired. 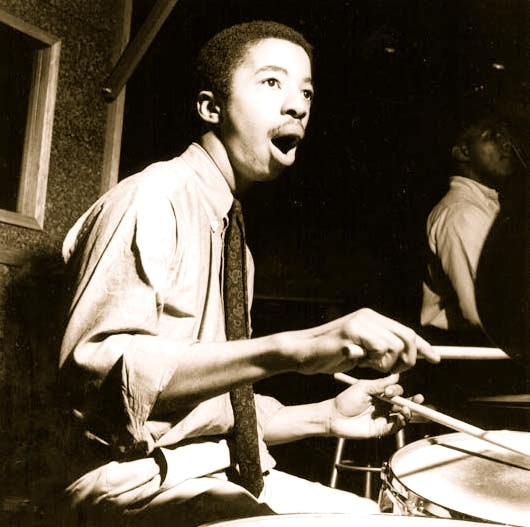 If I stop splitting hairs I’d have to think that the last great drum innovator was Tony Williams. This entry was posted in SKF Blog and tagged Alan Dawson, Drummer, Elvin Jones, Jack DeJohnette, Jo Jones, Max Roach, Modern Drummer, Roy Haynes, Scott K Fish, Tony Williams. Bookmark the permalink.